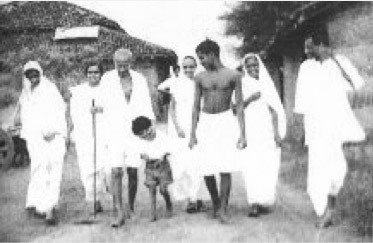 Photo to right: Gandhi with members of his family. The child is grandson Arun Gandhi, son of Manilal and Sushila. Read this Review of “GANDHI’S GIFT” (June, 2017) by Mark Gilbert in Science of Mind Magazine. 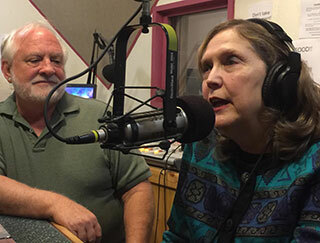 Listen to this Interview (July 4, 2017) on KKFI-Kansas City (90.1 FM), "Gandhi and the Fight for Justice," as Co-Producer Cynthia joins Host Craig Lubow (Radio Active Magazine) to talk about GANDHI’S GIFT (29:53). Read this Review of “GANDHI’S GIFT" (January 18, 2017) by Dr. Edward McNulty, VISUAL PARABLES Monthly. Read this article (November 4, 2016) by Adrian Gomez, Albuquerque Journal Arts and Entertainment Editor, about the “GANDHI’S GIFT” Test Screening at the Guild Cinema in Albuquerque. Read this article about "GANDHI'S GIFT" Test Screening at Portland Community College on November 14, 2016. Read this article by Steve Flores in The Bakersfield Californian, October 12, 2016, about the Test Screening of "GANDHI'S GIFT" on October 16, 2016. Listen to this Interview with Cynthia Lukas, "Creating Films from the Heart" with Mark Gilbert of Conscious Bridge, December, 2015. Read this article [pdf] by Mark Gilbert, "Arun Gandhi--Messenger of Peace," with discussion of his part in "GANDHI'S GIFT" on pages 15-16. From Science of Mind Magazine, November 2012 (pages 11-16). Read this article (September 20, 2012) by the Gandhi Foundation of London about "Globalized Soul" and "GANDHI'S GIFT." Read this interview [pdf] with Kell Kearns and Cynthia Lukas by Lee Mitchell, regarding "GANDHI'S GIFT" (2012).